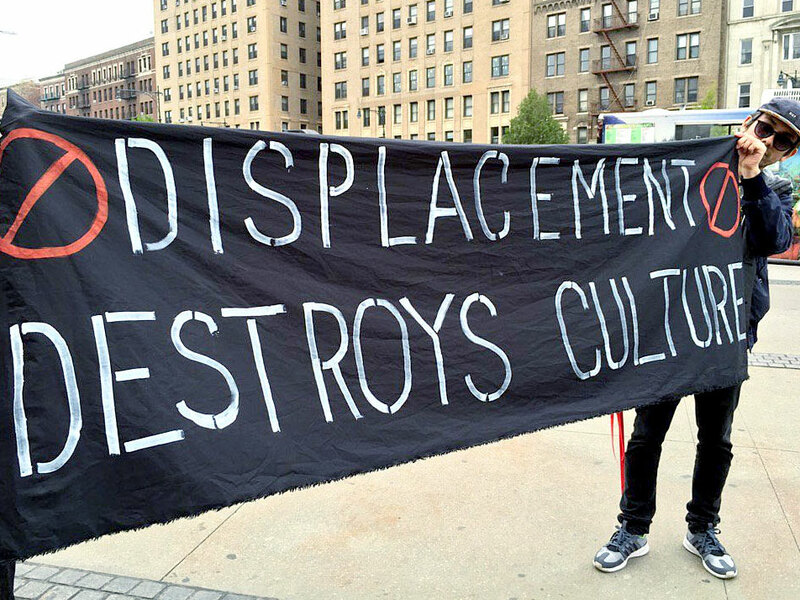 artists of color bloc is a collective formed as a response to the anti-gentrification and displacement protest at the Brooklyn Museum in 2016. artists of color bloc helped to prioritize and make evident the issue of race in displacement within the protest negotiations with the Brooklyn Museum. The result was the empowerment of voices in creating A People’s Monument to Anti-Displacement Organizing within the Agit-Prop! exhibition and an all people of color led Brooklyn Community Forum on Anti-Gentrification and Displacement at the Brooklyn Museum, July 10, 2016. Our collective's most recent activity has been to develop artists and worker of color recommendations for NYC’s first ever Cultural Plan. Some of these equity-specific recommendation have made their way into the Cultural Plan. These recommendations, aka Cultural Road Map, focuses on five main areas: I. Equity in artists fees, exhibitions, collections, scholarship research and archive opportunities; II. Equitable resource allocations; III. Equity in jobs for workers of color; IV. Support for ethnic and neighborhood museum and cultural spaces and their histories; and V. Media/Communications Equity. Protest erupt at the Brooklyn Museum after the directors attempted to cut-off negotiations with leading community activists who were primarily people of color. Prior to the protest, the Brooklyn Museum held meetings that privileged white artists and activists included in the Agit-Prop! exhibition. Main organizers of the protest were Decolonize This Place and Movement to Protect the People.